This low spreading annual plant has sprawling stems that gradually harden and become rigid, hence its scientific specific name rigida. The flowers of Rayless Chamomile are usually yellow, sometimes flushed with pink, and the stems and leaves of the plant are slightly hairy. Found in the eastern Mediterranean region of Europe, Anthemis rigida is particularly common in Crete but is also often found in Greece and Cyprus. Rayless Chamomile grows in rocky, stony or sandy places, and although occasionally found inland it is most common in coastal areas. This member of the Daisy family, asteraceae (formerly known as the compositae) blooms from February through until May. 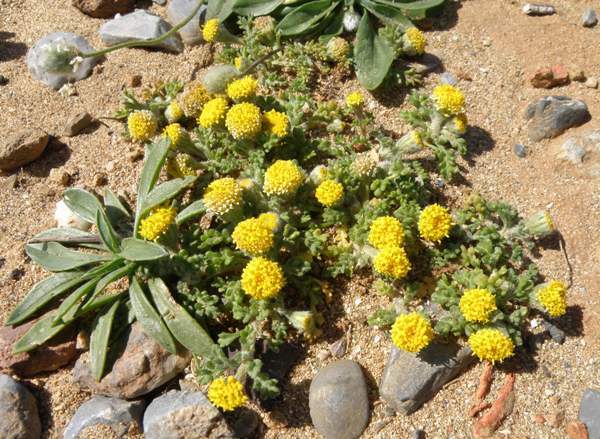 The plants shown on this page were photographed on the northern coast of Crete. Anthemis, the genus name, comes from the Greek anthemon, meaning flower, and indicates that this plant produces many flowers. 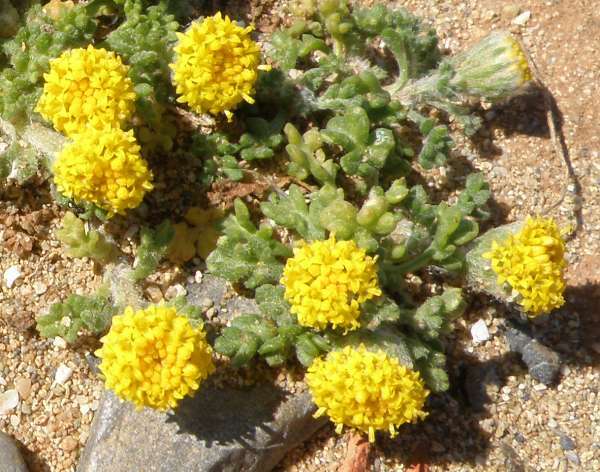 The specific epithet rigida implies, just as it sounds, that the flower stems eventually become hard and rigid.